Originally published under the title, "Islamist "Justice": Slow Painful Death for Christian Mother in Pakistan." 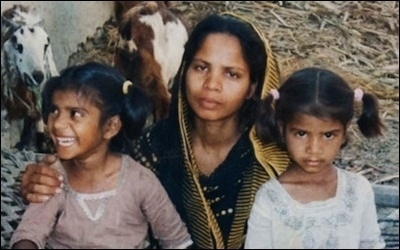 Pakistan's authorities appear to have found a solution to at least one of their problems in the international arena: Aasiya Noreen, or "Asia Bibi," a 50-year-old Christian woman and mother of five who has been on death row for six years for allegedly insulting Muhammad. Instead of executing Asia Bibi and further advertising to the international community that theirs is a savage and backwards nation -- and instead of releasing her and provoking millions of angry Muslims to turn on the government and accuse it of supporting "apostasy" -- Pakistan's authorities appear to be letting time, wretched conditions, severe maltreatment, and beatings slowly kill her. Recent reports state that she is deathly ill and "so weak she could hardly walk." Mission Network News says that Asia Bibi has "internal bleeding, abdominal pain, and is vomiting blood. If she does not receive immediate medical care, she could die." Blasphemy accusations routinely result in Pakistani Christians being imprisoned, beaten and killed. According to Bruce Allen of Forgotten Missionaries International, "She suffers terrible pain, and she can hardly eat. ... Here's this woman, languishing in a prison under this death sentence for a crime that she vehemently denies." Before the "cup" incident, it seems, a feud between Asia and one of her Muslim neighbors concerning property damage had existed. After the "cup" incident, her enemies and some of the Muslim workers complained to a Muslim cleric. They accused Asia Bibi of making insulting statements about the Muslim prophet, Muhammad. Her official "crime," therefore, which she vehemently denies, is "insulting" the Muslim prophet Muhammad. Asia's daughters hold a photo of their imprisoned mother. Shortly after the complaint was registered, a mob stormed her home and severely beat her and her family, including her children. They put a noose around her neck and dragged her through the streets. She was then arrested; and in November 2010, a Punjabi court fined her and sentenced her to death by hanging, in accordance to Section 295-C, which prohibits on pain of death any insult against the Muslim prophet Muhammad. Because her case attracted attention and condemnation from the international community, six years later, she still, mercifully, has not been executed. Instead, however, sick, isolated and regularly beaten by prison guards and Muslim inmates, she has evidently been left to rot to death. In late 2011, a female prison-officer -- assigned to provide security for Asia -- was discovered beating her, "allegedly because of the Muslim officer's anti-Christian bias, while other staff members deployed for her security looked on in silence." Only God will be able to free me. ... I also hope that every Christian has been able to celebrate the Christmas just past with joy. Like many other prisoners, I also celebrated the birth of the Lord in prison in Multan, here in Pakistan... I would have liked to be in St. Peter's for Christmas to pray with you, but I trust in God's plan for me and hopefully it will be achieved next year. It was not. In 2014, a Pakistani court upheld her death penalty. Recently, Pope Francis called for clemency for Asia Bibi while the U.S. Commission on International Religious Freedom pressed the Obama administration to designate Pakistan a "country of particular concern." Last year, Kentucky Senator Rand Paul, citing Asia Bibi in particular, as well others, called for the use of the $900 million in U.S. aid to Pakistan as leverage to help persecuted religious minorities. If these funds are not used as leverage, nearly $1 billion in U.S. aid can be seen as "rewarding" Pakistan for being openly unjust to its minorities. Christian minorities are still arrested for "defaming Muhammad" -- that is, if a Muslim mob does not get to them first and burn them alive, as happened to a Christian couple last year, and as was recently attempted against a mentally disabled Christian man. 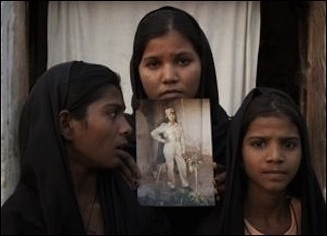 Asia Bibi is by no means the only Christian on death row for blasphemy in Pakistan. There are a number of others, and there are also other Christians who are in there for crimes they did not commit, and are in effect in there because they are Christians. People have to contact leaders of their nations and ask them to engage on dialogue with the Pakistani government for humanitarian rights alone renew the primary place of human rights when they engage in dialogue with foreign governments which habitually violate them. We see what happens when someone tries to challenge the blasphemy laws in Pakistan, it got two key politicians killed. In a country with such animosity against Christians, I don't believe a Supreme Court judge will be brave enough to exonerate her. "Pakistan cannot protect her," says Asia's husband, Ashiq Masih. A report from 2012 found that "Since 1990 alone, fifty-two people have been extra-judicially murdered on charges of blasphemy" in Pakistan. Yet every time any Western entity calls for her release, Pakistani Muslims threaten to take Sharia law into their own hands and murder her. Five years ago, a mosque prayer leader announced that anyone who manages to kill her would be rewarded with $6,000. It is a strong incentive, considering that many in Pakistan would probably kill her for free. The Maulvis [clerics] want her dead. They have announced a prize of Rs 10,000 to Rs 500,000 (£60 to £3,200) for anyone who kills Asia. They have even declared that if the court acquits her they will ensure the death sentence stands. I am planning our protection. If she is set free I hope we are moved to a safer country, as Pakistan cannot protect her. She has not made any mistake. We all know she has not committed any crime. We all know how Pakistan treats Christians. She was framed, she never committed any crime. Even some of those who have stood up for Asia Bibi have been murdered: two of her most prominent advocates, Governor Salmaan Taseer and Minority Affairs Minister Shabaz Bhatti, were both slaughtered. 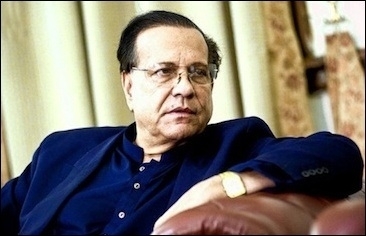 Salmaan Taseer, governor of Punjab province, was killed in 2011 for his outspoken defense of Asia Bibi. Taseer was shot twenty-seven times by Mumtaz Qadri -- his own bodyguard -- as he left his mother's home. The bodyguard cited as his motive that the governor was supportive of a Christian woman accused of blasphemy. After the murder, more than 500 Muslim clerics voiced support for the crime, and further pushed for a general boycott of Taseer's funeral. Supporters of Mumtaz Qadri blocked police who were attempting to arrest him, and some supporters showered him with rose petals. 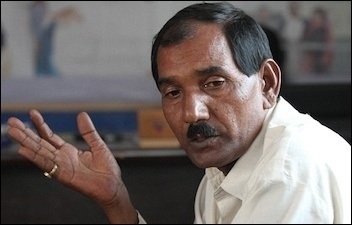 As for Bhatti, a Christian, Taliban-linked Muslims murdered him for his outspoken position against Pakistan's blasphemy law and his support for Asia Bibi. His car was ambushed and sprayed with bullets. A letter left at the scene said that anyone who tried to tamper with Pakistan's blasphemy law would suffer the same fate. Bhatti, who received innumerable death threats, predicted his own murder. In a prerecorded video released after his death, he said, "I believe in Jesus Christ who has given his own life for us ... and I am ready to die for a cause ... I am living for my community ... and I will die to defend their rights." The investigation into his murder was so lax (a series of suspects were freed) that it has been suggested that the Pakistani government may have been involved in -- or at least sympathetic to -- his assassination, for being a Christian and opposed to the blasphemy law. Pakistan does not require proof of a crime, only allegations -- often made for extraneous reasons, and totally unfounded. Whoever by words, either spoken or written or by visible representation, or by any imputation, innuendo, or insinuation, directly or indirectly, defiles the sacred name of the Holy Prophet Muhammad (PBUH) shall be punished with death, or imprisonment for life, and shall also be liable to fine. According to Islamic law, the word of a Christian is not valid against the word of a Muslim. Because non-Muslims -- particularly Christians, who by definition are known to reject Muhammad's prophecy -- are more likely to be suspected of blasphemy, and because, according to Islamic law, the word of a Christian is not valid against the word of a Muslim, blasphemy accusations by Muslims against Christians routinely result in the Christians being imprisoned, beaten and killed. Sometimes the accused is killed even when there is no evidence. In Pakistan, this scenario plays itself out over and over again. Christians, who reportedly make up less than one percent of the population in Pakistan, are especially vulnerable to charges of blasphemy. Several dozen people have been charged with blasphemy in Pakistan over the last few years; in all the cases known to Amnesty International, the charges of blasphemy appear to have been arbitrarily brought, founded solely on the individuals' minority religious beliefs. . . . The available evidence in all these cases suggests that charges were brought as a measure to intimidate and punish members of minority religious communities . . . hostility towards religious minority groups appeared in many cases to be compounded by personal enmity, professional or economic rivalry or a desire to gain political advantage. As a consequence, Amnesty International has concluded that most of the individuals now facing charges of blasphemy, or convicted on such charges, are prisoners of conscience, detained solely for their real or imputed religious beliefs in violation of their right to freedom of thought, conscience and religion. I really love her and miss her presence. I cannot sleep at night as I miss her. I miss her smile; I miss everything about her. She is my soulmate. I cannot see her in prison. It breaks my heart. Life has been non-existent without her. ... My children cry for their mother, they are broken. But I try to give them hope where I can. The British Pakistani Christian Association has started a petition calling for Bibi's release, and offers more ways to help Asia's case and help her husband with legal fees.